Draft: 2011, Arizona Diamondbacks, 1st rd. Full name TREVOR ANDREW BAUER…Single…Graduated from Hart High School in Santa Clarita, CA, same high school that produced James Shields, Kevin Millar, Bob Walk and Todd Zeile.…Went 12-0 with a 0.79 ERA and 106 strikeouts as a junior, earning All-CIF Southern Section Division I first-team honors and first-team All-Southern Selection accolades from the California Baseball Coaches Association (CBCA)…Was also named to the Los Angeles Times High School All-Star Team...On Twitter/ Instagram/YouTube: @baueroutage...In 2015, teamed with and designed a t-shirt for Athletes Brand to benefit the Lone Survivor Foundation (25% of the proceeds) to spread awareness and raise money for soldiers returning from duty...For his efforts he was nominated by the club for the 2015 Bob Feller Award...2014-19 Tribe Fest participant...Funded and hosted Cleveland Indians Career Day in August 2016 with local high school students from Max Hayes High School who were interested in technology and robotics...In 2017, together with Carlos Carrasco, created special t-shirts featuring their unique baseball artwork with proceeds going to hurricane relief efforts in Texas and Puerto Rico. Recorded his finest season at the Major League level, recording a career-high 221 strikeouts in just 175.1 innings…recorded the lowest ERA by an Indians pitcher in 46 years dating back to Gaylord Perry's Cy Young season of 1972 (1.92)...Was the sixth-lowest A.L. ERA since the 2000 season and was the third-lowest in MLB in 2018 behind Jacob deGrom (1.70) and Blake Snell (1.89)... His ERA was the seventh-lowest single-season mark by a qualified Indians pitcher since 1919, as well as the second-lowest ERA by a Tribe hurler since the pitching mound was lowered to its current height in 1969 (43 earned runs allowed are the fewest by a qualified CLE pitcher in both of those spans)...ALL-STAR: Was selected to his first American League All-Star team after going 8-6 with a 2.24 ERA in 20 first half starts (136.1IP, 105H, 34ER, 175SO)...The 2.24 ERA in the first half was the fifth-lowest first-half ERA by an Indians pitcher since 1969 and his 11.55 strikeouts-per-9.0 IP marked the second-highest rate by an Indians pitcher in the first half of the campaign (min. 80.0IP), behind Corey Kluber (11.86 in 2017)...‹‹INJURY: Was electric over the first four months, including a 13-start stretch between June 8-Aug. 11 where he was 8-2 with a 1.74 ERA (17ER/88.0IP/117SO) before being struck above the right ankle by a 7th-inning line drive off the bat of Jose Abreu on August 11 at Chicago-AL ...Was diagnosed three days later with a stress fracture in his right fibula and was placed on the 10-day D.L. for the first time in his career...Was on the D.L. from Aug. 12-Sept. 20, making a start vs. Boston on Sept. 21 in Progressive Field (1.1IP, 0R). ‹‹At the time of the injury he was 12-6 with a 2.22 ERA over his first 25 starts (166.0IP, 125H, 41ER, 214SO) and was second in the league in innings and third in ERA and strikeouts...Over his three September outings (two starts), he did not record a decision and recorded a 1.93 ERA (9.1IP, 9H, 2ER) and recorded his first professional save on the final day of the season at KC (4.0IP, 2H, 0R, 0BB, 2SO). ‹‹200K: Reached the 200-strikeout plateau on August 6 vs. Minnesota in his 24th start in just 156.0 innings, becoming the second-fastest pitcher in franchise history to reach the milestone, after Corey Kluber (147.0IP in 2017)...Also marked the fifth time an Indians pitcher got to 200 strikeouts in 24-or-fewer starts, joining Bob Feller (1946, 22GS), Sam McDowell (1968, 23GS & 1970, 24GS) and Kluber (2017, 22GS)...NO ER FOR YOU: Bauer has allowed four-or-fewer earned runs in each of his last 53 starts, which the 2nd-longest such streak in the Majors since 1990, behind Greg Maddux's 106-start run from July 11, 1991-June 22, 1994...From May 27 - July 25, he struck out seven-or-more batters in 12 consecutive starts, which tied Sam McDowell (12GS, September 14, 1965-May 17, 1966) for the second-longest such run in franchise history, behind Kluber's 14-start streak (June 1-August 13, 2017)...100P: Threw 100-or-more pitches in each of his first 25 starts this season (April 1-August 11), which is the longest such streak of his career...The longest streak of consecutive starts with 100-plus pitches by an Indians pitcher since 1988, the most recent year that Baseball Reference has accurate pitch count data available (Justin Verlander had an 80-start streak from 2010-12)...QUALITY: From June 8-July 10, Trevor recorded a streak of seven consecutive quality starts with eight-or-more strikeouts and 0 HRs allowed, which represented the second-longest such streak in the live ball era (1920-), behind Pedro Martínez's run of eight starts in 2002 (STATS LLC).MORE STREAKS: Also struck out eight-or-more batters in nine straight starts from May 27-July 10, a career-long run and the longest such run by an Indians pitcher since Kluber in 2017...Recorded a streak of 10-or-more strikeouts in four consecutive starts from May 27 to June 13, tied for second-longest such run in MLB...Marked just the third pitcher in Indians franchise history to record a streak of four or- more starts with 10-or-more strikeouts, joining teammate Kluber (two streaks of five starts in 2017) and Hall-of-Famer Bob Feller (one streak of four starts from 1938-39). ‹‹Batters hit .202 (50-for-248) off him with runners on base, the eight-lowest mark in the league...Among MLB pitchers allowed the third-lowest slugging pct (.302) and ninth-lowest average against (.208). Recorded his finest season at the Major League level to date, recording career-highs in wins (17), strikeouts (196) and innings pitched (176.1) while recording his lowest full-season ERA (4.19)...Joined Corey Kluber (18) and Carlos Carrasco (18) with at least 17 wins, the first Indians pitching staff since 1956 to post three 17-game winners and the first staff in MLB since the 2003 NY Yankees...Also just the second Indians trio to record at least 190 strikeouts in the same season (2015) and the only trio in MLB history with at least 17 wins and 190 strikeouts within the same season. Was outstanding over the last two months of the season, going 10-1 with a 2.60 ERA over his final 14 games/13 starts from July 21 thru the end of the season (83.0IP, 81H, 24ER, 23BB, 91SO) to lower his ERA from 5.59 to 4.19...All this came after equaling the shortest start of his career (0.2IP, 3H, 4R/ER) in his first start of the second half, July 16 at Oakland...His 10 second half wins were tied for 2nd in the American League (Corey Kluber - 11) and his 2.42 ERA from July 27th-on was 3rd-lowest in the American League... Despite going winless in 2 of his last 3 starts, Bauer went 10-2 with a 3.01 ERA (28ER/83.2IP) in 14 starts (15 appearances) after the All-Star Break... His 3.01 ERA in the second-half ranked T5th among all A.L. starters (minimum 80.0 IP) in the second half (6-1 at home in the 2nd half, 8GS). Won a career-best 9 straight decisions, July 21-Sept. 10, a season-high by an Indians pitcher in 2017...Over the 11-start span he posted an ERA of 2.51 (64.2IP, 63H, 18ER)...Struck out six-or-more batters in 22 of his 31 starts this season, tied for the 6th-most such starts in the American League. Went 2-2 with a 6.24 ERA (16ER/23.0IP) in four April starts...Marked his highest ERA in the first month of season & tied for second-highest of any month in his career (highest is 6.75 ERA in September of 2016 (24ER/32.0IP)...Struck out a career-high 14 batters in just 7.0 innings of work on May 30 vs. Oakland, earning his fifth win of the season as he allowed three runs on seven hits in the Tribe's 9-4 victory...Equaled a season-high by an Indians pitcher in 2017 with Kluber and Carrasco. Prior to the 2017 All-Star Break, Bauer ranked in the A.L. Top 25 for several pitching categories including: strikeouts-per-9.0IP (10.00, 7th), strikeouts (103, T12th), K-to-BB ratio (3.03, 16th) and HR-per-9.0IP (1.36, 20th) while recording an ERA of 5.24 (54ER/92.2IP)... Went 2-2 with a 3.82 ERA (13ER/30.2IP) in six starts during the month of June, marking his lowest ERA since posting a 2.01 ERA (10ER/44.2IP) in June 2016....Finished the month of August with a record of 5-0 and a 2.31 ERA (10ER/39.0IP) in six starts (seven appearances)...His 2.31 ERA was the fourth-lowest in the A.L. in August. Batters hit .278 (75/270) off him with runners on base and .259 (35/135) with runners in scoring position...Recorded an ERA of 2.35 (8ER/30.2IP) in the first inning and did not allowed a run in the first inning in any of his last 11 starts dating back to July 27th... As a starter, walked 1 of 50 left-handed batters (2.0%) over the last 30 days of the season...Allowed a BABIP of .444 as a starter when going through the lineup the third time in a game (highest in MLB)...Roberto Pérez started at catcher for all 31 of his starts. Enjoyed a solid season in the Indians rotation and ended the season as the only member of the starting rotation to make each of his turns from May thru the end of the season…Finished second on the club in innings, starts and strikeouts and amassed new career-bests in wins and innings pitched...Posted record of 0-2 w/a 5.27 ERA in 5 Postseason outings (4GS)...Suffered lacerated right pinkie finger prior to game 1 of ALCS (10/14) that forced him from game 3 start (10/17) three days later...Came in relief into game 7 of World Series to record final two outs of the 10th inning...Began the season in the bullpen when Cody Anderson and Josh Tomlin were named the club's fourth & fifth starters out of spring training...Made his first six appearances in relief, going 1-0 with a 4.76 ERA (11.1IP, 13H, 6R/ER, 14SO) before moving into the rotation April 30 after Carlos Carrasco was placed on the D.L. 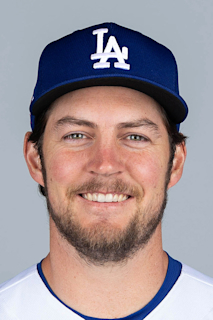 with a hamstring injury… Spent the remainder of the year in the rotation save one emergency, extra-inning relief outing in Toronto on July 1…On the year in relief he was 2-0 with a 3.31 ERA in 7 outings (6ER/16.1IP) and was 10-8 with a 4.35 ERA in 28 starts (84ER/173.2IP)… Made his first start on April 30 at Philadelphia and did not factor into the decision after allowing three runs on five hits in 4.0 innings of work...Went 3-0 with a 2.01 ERA in six June starts (10ER/44.2IP), the 2nd-lowest ERA in the league in June (min.40IP) and was tied for 5th in strikeouts (43)…Held opponents to a .190 clip (30-for-158) in June, which was the sixth-lowest average against in the AL & ranked 10th in MLB…Worked his second career complete game, a career-best 3-hitter, on June 22 against Tampa Bay at Progressive Field (9.0IP, 3H, 1R, 1BB, 10SO)...Tied a then season-high 10 strikeouts (previously done June 6 at Seattle)… Earned the win in the Tribe's 2-1, 19-inning victory on July 1 at Toronto after working 5.0 shutout innings in relief beginning in the 15th inning (was slated to start the next day)...Marked his fourth straight win, which set a new career-long winning streak...Ranked in the AL Top 20 for several pitching categories during the first half including: ERA (3.30, 9th), average against (.229, 7th), HR-per-9.0IP (0.71, 3rd), hits-per-9.0IP (7.66, 8th) and WHIP (1.20, 14th)…Recorded a career-high 13 strikeouts in 8.0 innings on August 19 vs. Toronto…Posted a second-half ERA of 5.36 (53ER/89.0IP)…Over his five starts following his Toronto relief outing (7/7-8/3) he posted a record of 0-3 with an 8.37 ERA (22R/23.2IP)…Rebounded in August, going 3-1 with a 2.61 ERA in 6 starts from Aug. 9-Sept. 3 (12ER/41.1IP) before going 2-2 with a 7.28 ERA over his final 5 starts from Sept. 8-Oct. 1 (24ER/29.2IP)...Went 6-4 with a 3.67 ERA on the road in 16 games/12 starts (83.1IP, 80H, 34ER), the 17th-lowest ERA in the American League…8 of his 12 road starts were quality starts as he allowed just 5 home runs in 83.1 road innings…Batters hit .276 (78-283) off him with runners on base and .278 (42-151) with RISP…Baserunners were just 5-for-10 off him attempting to steal as his 5 CS against were tied for 13th among A.L. pitchers…Batters hit .192 (48-250) off him when he was ahead in the count. Spent virtually the entire year in the Indians rotation, setting new single-season career-highs in appearances (31), starts (30), innings pitched (176.0), wins (11) and strikeouts (170)...In 14 outings on the road, Bauer went 6-5 and posted a 3.32 ERA (30ER/81.1IP), 8th-lowest among American League hurlers...His .196 (57-for-291) average against was the 3rd-lowest road mark in the A.L., 5th-lowest in the Majors...The right-hander went 2-0 with a 1.80 ERA (5ER/25.0IP) across four starts in April and did not suffer his first loss of the season until May 8 against Minnesota...Led the A.L. in walks (79), was 12th in strikeouts (170) and 7th in SO per 9.0IP (8.69)...Last Indians SP to lead league in walks was Sam McDowell in 1971...In his season debut on April 9 at Houston, Bauer tossed 6.0 hitless innings and tallied a career-high 11 strikeouts (5BB)...Had his 9.0-inning hitless streak and 11.0-inning scoreless streak snapped on April 15 at Chicago-AL...His 9.0-inning hitless streak was the 3rd-longest by an A.L. starter to begin a season in the last 20 years (1996-2015), trailing only 10.0-inning stretches by Boston's Hideo Nomo in 2001 and Toronto's Shaun Marcum in 2007 (Elias)...Was the first Indians starter since Bob Feller in 1940 to record 9.0 hitless innings to start the season, as Feller no-hit the White Sox on April 16, 1940, giving up a hit in the first inning of his next start...Faced 34 batters before allowing a hit, the most by a starter since Boston's Nomo faced 37 without allowing a hit in 2001 (STATS)...Bauer tallied at least 5 strikeouts in 21 of his 30 starts and allowed 3-or-fewer earned runs in 19 of his 31 total outings... From May 14-June 4, the right-hander worked 6.0+ innings for a career-high 5 consecutive games...Went 3-2 with a 1.75 ERA (7ER/36.0IP) over those 5 starts... Bauer worked his first career CG (9.0IP, 5H, 2R/ER, 1HR, 1BB, 6SO, 112 pitches/78 strikes), but suffered the loss in a 2-1 Indians defeat against Kansas City on July 28...Marked the first Indian hurler to lose a complete game at home since Justin Masterson on Sept. 30, 2009 (1-0 loss to Chicago-AL)...Posted an ERA of 5.73 in 14 second half outings (13GS, 70.2IP, 67H, 45ER, 36BB, 68SO) after recording a first half ERA of 3.76 over his first 17 starts...Endured a 7 start stretch from Aug. 13-Sept. 13 where he did not get out of the fourth inning four times and posted an ERA of 7.63 that relegated him to the bullpen late in the season (30.2IP, 35H, 26ER) Made one relief appearance on Sept. 19 against the White Sox, working 1.0 scoreless inning (1H, 2SO)...Tossed 7.0 innings of one-run ball in his final outing of the season (2H, 1R/ER, 3BB, 3SO), a 4-2 Indians defeat on Oct. 1 against the Twins....His .239 avg against with men on base was 15th-lowest in the A.L. while his .232 overall average against was 11th-lowest and his .394 slugging pct/ allowed was 18th-lowest among A.L. qualifiers. Spent virtually the entire year in the Indians rotation, finishing second on the team in innings pitched (153.0) while logging a professional career-high of 199.0 IP between Columbus and Cleveland...Began the year in Triple-A Columbus and made his 2014 Major League debut in a doubleheader/" spot" start as the 26th man on April 9 vs. San Diego (L, 6.0IP , 4H, 2R/1E R, 8K ).... Was also with Cleveland from May 20-remainder of the season...Finished fourth among American League rookie pitchers in starts (26) and strikeouts (T -4th, 143), fifth in innings pitched (153.0) and 11th in ERA (4.18). In seven starts with Triple-A Columbus in 2014, Bauer was 4-1 with a 2.15 E RA (11 E R/ 46.0 IP ), 44 strikeouts, 14 walks and a 1.09 WHIP ....Prior to his last Minor League start on May 13 at Rochester (L, 5.2 IP , 6 R, 4 HR), Bauer was a perfect 4-0 with an International League-best 1.12 ERA (5 ER/40.1 IP)...At the time of his final promotion on May 20, ranked sixth in ERA, 11th in strikeouts and ninth in WHIP...Fanned nine batters in each of his first two starts for Columbus, allowing just one earned run on seven hits and three walks across his first 12.0 innings....Limited opposing Minor League batters to a .216 (36-167) average against, including a .195 (17-87) clip to left-handers. Made his turn for every start and never enjoyed a sustained stretch of dominance or inconsistency, never recording a monthly ERA under 3.34 and over 4.97...Pitched into the fifth inning in 25 of 26 starts and fanned at least eight batters in seven of 26 outings...Best month was August, going 1-1 w/a 3.34 E RA in six starts (35.0IP , 27H, 13E R, 20BB, 35K ) and enjoyed a four-start stretch from August 13-30 where he was 1-0 w/a 2.59 E RA (24.1IP , 16H, 7E R, 28K , club won each G S) that lowered his season ERA from 4.33 to 3.99. After logging back-to-back scoreless starts for the first time in his career on 8/24- 8/30, Bauer carried a career-high streak of 15.1 consecutive scoreless innings into the first inning of his start on September 4 vs. Detroit...Worked a career-high 8.0IP two times (last Sept 9 vs. MIN) and fanned a career-high 10 White Sox on July 13 vs. Chicago-AL (6.2IP, 8H, 0R, 3BB, 10K), his first career double-digit strikeout game...Went 4-3 w/a 3.67 ERA in 14 starts in Progressive Field (88.1IP , 83H, 36E R, 87K ) and was 1-5 w/a 4.87 ERA in 12 road starts (64.2IP , 68H, 35E R, 56K )... Career in Cleveland, Trevor is 5-4 w/a 3.43 ERA in 16 starts (38 E R/99.2 IP ). Kicked off the second half of the season with a 9-3 victory over the Tigers on July 18 at Comerica Park (W , 6.0 IP, 6 H, 3 R-ER, 1 BB, 5 SO, 101 pitches/67 strikes)...Bauer also started the Tribe's final game of the first half - a 3-2 win over the White Sox - and became just the fourth different Indians pitcher to start back-to-back team victories - the first since Bert Blyleven in 1981 (STATS LLC)...ERA in the first inning was 5.54 (26.0IP, 27H, 20R/16ER, 13BB, 21K)....ERA from innings 2-6 was 3.80 (118.1IP , 113H, 50E R, 44BB, 113K )....Was T 5th in the A.L. in hit batters (11) and steals allowed (19)...Batters hit .192 (43-219) when behind in the count and .331 (56-169) when ahead in the count. ?ad an up and down season between AAA Columbus and Cleveland, spending the majority of the season in the Columbus rotation while making four spot starts for the Indians over the first four months of the season...Optioned out of spring training to Triple-A on March 21, but instead made his 2013 debut with the Indians at Tampa Bay on April 6 (Kazmir DL)...Allowed only 2 hits in 5.0 innings but walked a career-high and 2013 club-high 7 batters in the 6-0 loss...All four of his 2013 Major League starts were one-day stints in the big leagues as he accumulated just four days of MLB service... Enters 2014 rated the third overall prospect (best curveball/change-up also) in the system according to BA and 73rd overall in all of baseball according to MLB.com...Entered 2013 as the club's top prospect according to Baseball America, was #17 overall in MLB.com's overall top 100 prospects and 25th overall according to ESPN's Keith Law. Made second big league start of 2013 on May 1 vs. Philadelphia (5.0IP, 1H, 0R, 6BB, 5K), notching his second big league win over Cliff Lee...Made two more starts as the result of doubleheaders on May 13 vs. NYY (gm2, L#2, 6.1IP, 6H, 2R/2ER) and June 28 at Chicago-AL (gm1, ND, 0.2IP, 6H, 5R/ER, 2HR), the latter of which was the shortest and most recent start of his brief 8-start career... Limited batters to .238 mark with Cleveland, including a .207 mark by left-handed hitters, but walked 16 batters in 17 innings of work...Batters were 7-for-31 (.226) off him with runners on and 3-for-17 (.176) with runners in scoring position. Won his first two decisions at Columbus covering a span of 5 starts (3.23ERA, 30.2IP, 21H, 11ER, 10BB, 31K) before allowing 14 runs in 10.1IP over his last two starts in May that took his season ERA to 5.05...Went a combined 3-1 w/a 2.66 ERA in 9 June and July starts (50.2IP, 56H, 15ER, 24BB, 37K) before posting a 1-4 record in 6 August starts to finish the season (5.46ERA, 29.2IP, 31H, 18ER, 25BB, 28K)...Tossed his only complete game of the year on July 22 at Buffalo (9.0IP, 6H, 3R/2ER, 4BB, 4K)...Did not allow a hit over 6.2IP vs. Charlotte on May 7 (2R/ER, 4HB, 4BB, 7K, WP)...Right-handed hitters at Triple-A batted .245 (61-249, .770OPS) while lefties hit .291 (58-199, .861OPS)...Batters hit .250 (54-216) with runners on base and .242 (36-149) with RISP off him. Named the D-backs' Minor League Pitcher of the Year after combining to go 12-2 with a 2.42 ERA (35 ER in 130.1 IP) and 157 strikeouts in 22 starts with Double-A Mobile and Triple-A Reno... Went 1-2 with a 6.06 ERA (11 ER in 16.1 IP), 13 walks and 17 strikeouts in 4 starts with the D-backs in June and July...Named to the MLB All-Star Futures Game and enters 2013 as the top prospect in the Indians organization according to Baseball America, #17 overall in MLB.com's overall top 100 and 25th overall prospect according to ESPN's Keith Law.Began the season with Mobile and was 7-1 with a 1.68 ERA (9 ER in 48.1 IP) and 60 strikeouts in 8 games...Garnered the organization's Pitcher of the Month award for April (5-0, 1.26 ERA)...Fanned 11 in 5.2IP (2H, 0R) in his 2nd start of the season on April 10 vs. Pensacola...Fanned 8-or-more in 5 of 8GS...Promoted to Reno on May 17 and was 5-1 with a 2.85 ERA (26 ER in 82.0 IP), 1 complete game and 97 strikeouts in 14 starts with the Aces.Recalled by D-backs on June 28...Was tied for the Minor League lead in wins (11) at the time of his promotion and ranked second in strikeouts (116)...Was the first player from the 2011 Draft to reach the Majors when he made his debut on June 28 @ Braves (ND, 2 ER in 4.0 IP)...Indians RHP Cody Allen would become the 2nd player three weeks later.Earned his first Major League win on July 8 vs. the LA Dodgers, tossing 6.0 scoreless innings with 6 strikeouts and 2 hits allowed...In his other three starts he did not see the 5th inning and walked at least 3 batters in each start...Optioned back to Reno on July 18...Did not pitch from July 23-Aug. 5...Nagged by right groin soreness most of the season. Recorded his first professional complete game on Aug. 17 vs. Round Rock with 12 strikeouts (9.0IP, 5H, 2R/ER, 1BB, 12K)...Also fanned 11 in his Triple-A debut of May 18 vs. Oklahoma City (8.0IP, 4H, 1R/ER, 11K) and 11 more on June 8 vs. Tucson (7.0IP, 5H, 0R, 2BB, 11K)...Made 3 postseason starts for Reno and was 2-0 with a 1.65 ERA (3 ER in 16.1 IP), 17 walks and 17 strikeouts...Started the Triple-A National Championship Game vs. Pawtucket (ND, 2 ER in 4.2 IP)...Finished the season ranked by MLB.com as the D-backs' No. 1 Prospect and No. 5 overall (third-best right-handed pitcher)...Also honored in Baseball America's Best Tools issue as the Best Pitching Prospect in the Pacific Coast League...On the year limited batters to a .223 average against, including a .215 (46-214) mark by left-handed hitters. Combined to go 1-2 with a 5.96 ERA (17 ER in 25.2IP) and 43 strikeouts in 7 starts with Single-A Visalia andDouble-A Mobile...averaged 15.1 strikeouts per 9.0 IP...ERA was 2.63 entering his final regular-season start onAug. 30 vs. Chattanooga (10 ER in 1.2 IP)...Began the season with the Rawhide, going 0-1 with a 3.00ERA (3 ER in 9.0 IP) and 17 strikeouts in 3 starts beforehis promotion to Double-A on Aug. 13...was 1-1 with a7.56 ERA (14 ER in 16.2 IP) with 26 strikeouts in 4 startswith Mobile and helped the BayBears to the SouthernLeague Championship...earned the win in the clinchinggame of the Championship Series, allowing 1 run over5.0 innings pitched with 7 strikeouts @ Tennessee...Selected in the first round (third overall) of the First-Year Player Draft...the draft marked the first time since1978 that one college baseball program (UCLA) had twoplayers selected (Gerrit Cole, No. 1 to Pittsburgh) in thefirst three picks (Arizona State; Bob Horner and HubieBrooks). September 21, 2018 Cleveland Indians activated RHP Trevor Bauer from the 10-day injured list. August 14, 2018 Cleveland Indians placed RHP Trevor Bauer on the 10-day disabled list retroactive to August 12, 2018. Right fibula stress fracture. May 20, 2014 Cleveland Indians recalled RHP Trevor Bauer from Columbus Clippers. April 10, 2014 Cleveland Indians optioned RHP Trevor Bauer to Columbus Clippers. April 9, 2014 Cleveland Indians recalled Trevor Bauer from Columbus Clippers. March 24, 2014 Cleveland Indians optioned RHP Trevor Bauer to Columbus Clippers. October 4, 2013 Trevor Bauer roster status changed by Cleveland Indians. June 29, 2013 Cleveland Indians optioned RHP Trevor Bauer to Columbus Clippers. June 28, 2013 Cleveland Indians recalled Trevor Bauer from Columbus Clippers. May 19, 2013 Trevor Bauer roster status changed by Columbus Clippers. May 14, 2013 Cleveland Indians optioned RHP Trevor Bauer to Columbus Clippers. May 13, 2013 Cleveland Indians recalled Trevor Bauer from Columbus Clippers. May 2, 2013 Cleveland Indians optioned Trevor Bauer to Columbus Clippers. May 1, 2013 Cleveland Indians recalled Trevor Bauer from Columbus Clippers. April 7, 2013 Cleveland Indians optioned Trevor Bauer to Columbus Clippers. April 6, 2013 Cleveland Indians recalled Trevor Bauer from Columbus Clippers. March 21, 2013 Cleveland Indians optioned Trevor Bauer to Columbus Clippers. October 4, 2012 Arizona Diamondbacks recalled Trevor Bauer from Reno Aces. July 18, 2012 Arizona Diamondbacks optioned Trevor Bauer to Reno Aces. June 28, 2012 Arizona Diamondbacks recalled Trevor Bauer from Reno Aces. May 17, 2012 Trevor Bauer assigned to Reno Aces from Mobile BayBears. March 23, 2012 Arizona Diamondbacks optioned Trevor Bauer to Mobile BayBears. October 10, 2011 Trevor Bauer roster status changed by Arizona Diamondbacks. August 13, 2011 RHP Trevor Bauer assigned to Mobile BayBears from Visalia Rawhide. July 26, 2011 Trevor Bauer assigned to Visalia Rawhide. July 25, 2011 Arizona Diamondbacks signed RHP Trevor Bauer.